The name of this tour says it all. This is our flagship, most complete South Florida Air Tour. Whether you're a local or a visitor, you will experience and explore all of South Florida's landmarks and Destinations. 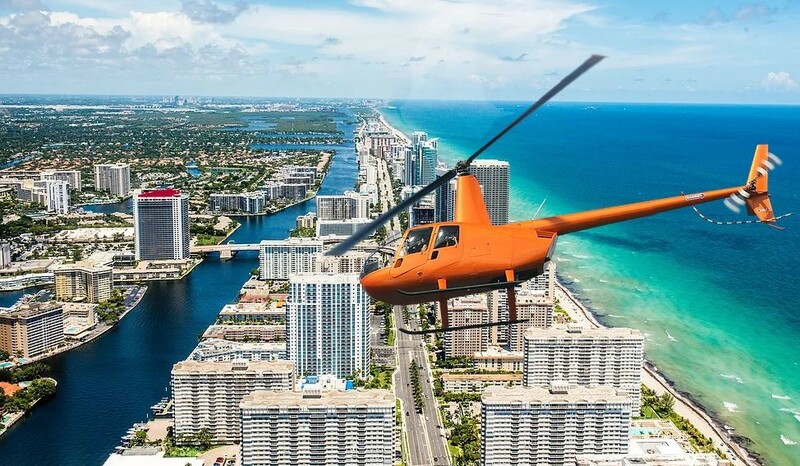 The Deluxe Air Tour will have you flying from flying right along side the buildings of Downtown Miami and the million dollar condo's on Brickell Key, to soaring over Fort Lauderdale Beach, Pompano Beach, Boca Raton and Port Evergaldes. This narrated, unforgettable South Florida Air Tour is also the perfect route to celebrate an anniversary or birthday. If you're looking for a special and unique way to 'pop the question' -Do it with the City of Miami and the Miami sunset behind you!